A fearsome sight on the battlefield. Beautifully balanced for two handed use. 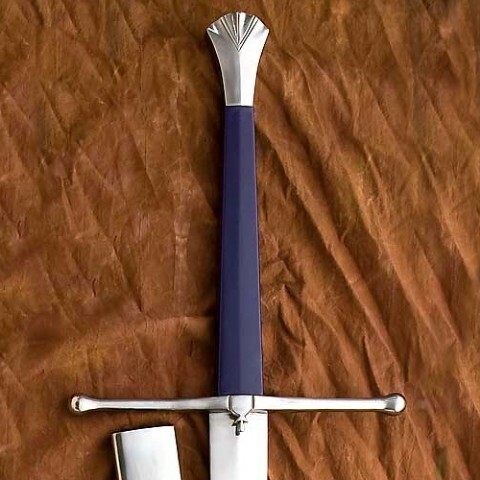 Copy of an original sword in the Royal Armouries. Long wood grip in covered leather. Tempered high carbon steel blade 112cm x 6.5cm wide. Overall length 146cm. Weight 2.8kg. 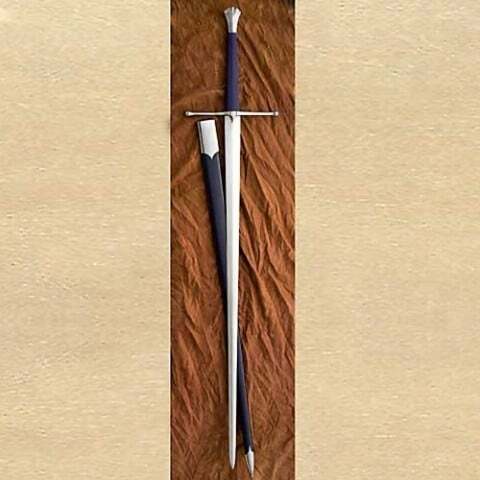 Includes leather covered wood scabbard with steel parts. Can be professionally sharpened for an additional $40.